The Rebel Sweetheart. 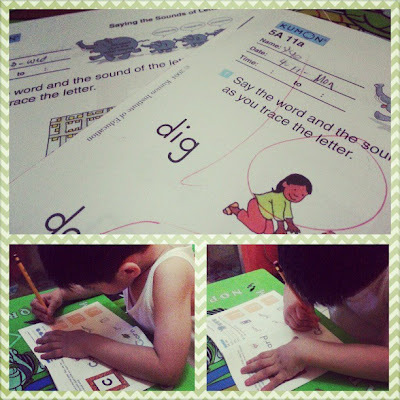 : Wordless Wednesday #32 | Becoming the Bookworm. The little man asked for books the other day, and this was what he bought. 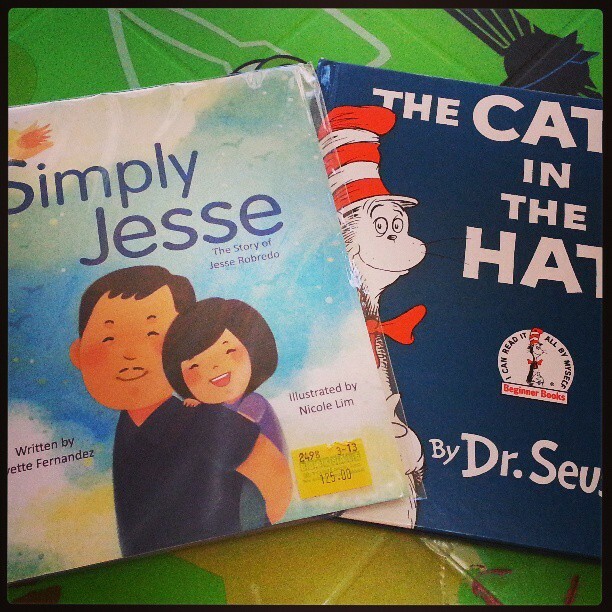 Simply Jesse (Php 125) and The Cat in the Hat. And then we saw him! 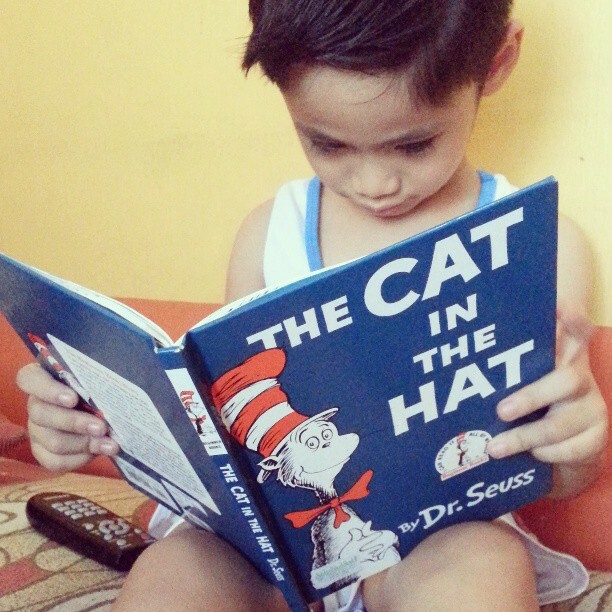 The Cat in the Hat! Also, he's been accelerated to Module 5 of the Kumon Reading Program. He finished the first two modules in a matter of six weeks only. Dr Suss is a classic fav.